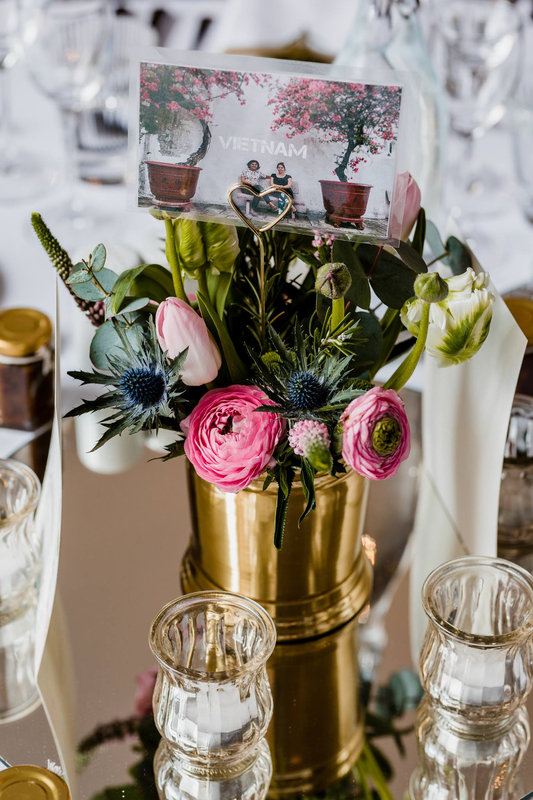 All the bits and bobs you might be looking for to make your centrepieces pop! Thanks for clicking on our post, and congratulations on your engagement. We hope your wedding preparations are going well. Photo courtesy of our fabulous photographer: © Kevin Potter at Potters Instinct Photography. 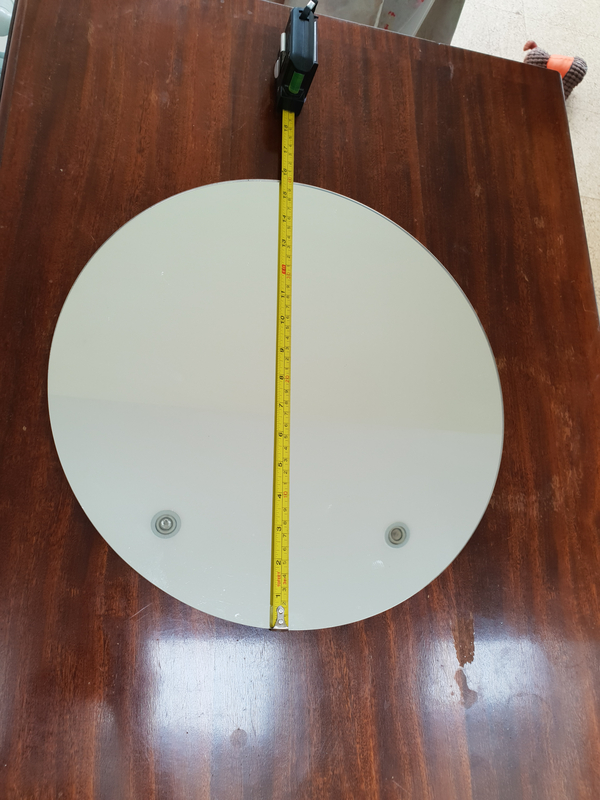 First up, 7x 40cm diameter circular mirrors to reflect the gorgeous flowers you've chosen for your centrepieces. [Please excuse our kitchen lights in the reflection!] £10 each. 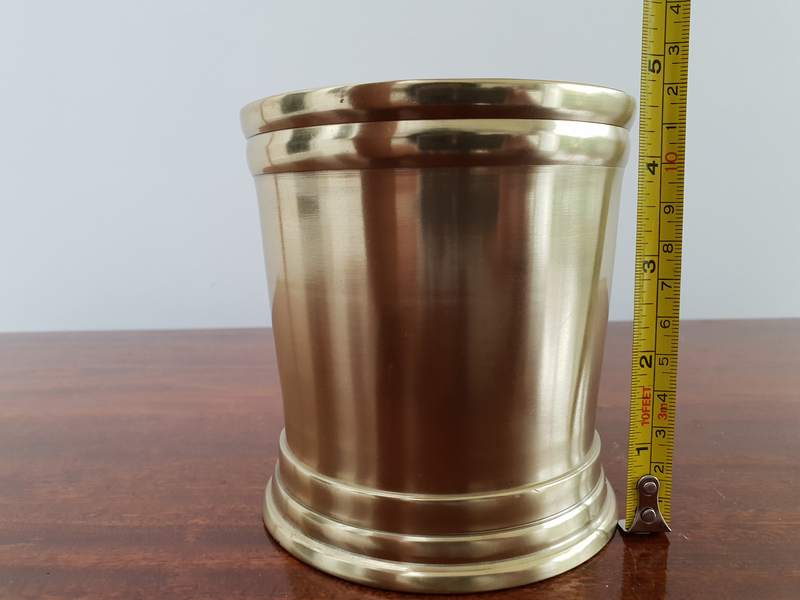 Second, 7x gold vases (12cm tall) that could hold some glorious blooms. £10 each. 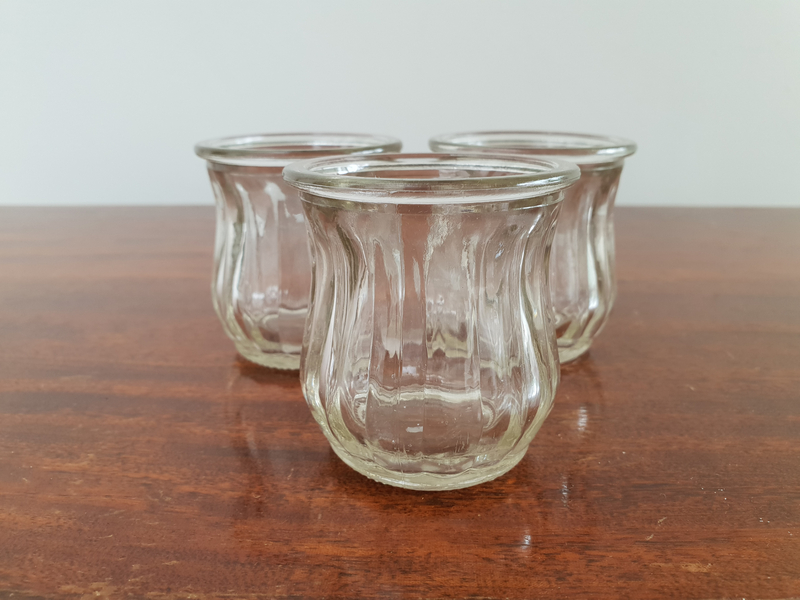 Next, 35x glass tea light holders (6.5cm tall) for the romantic lighting you might be planning for your meal. £1 each. 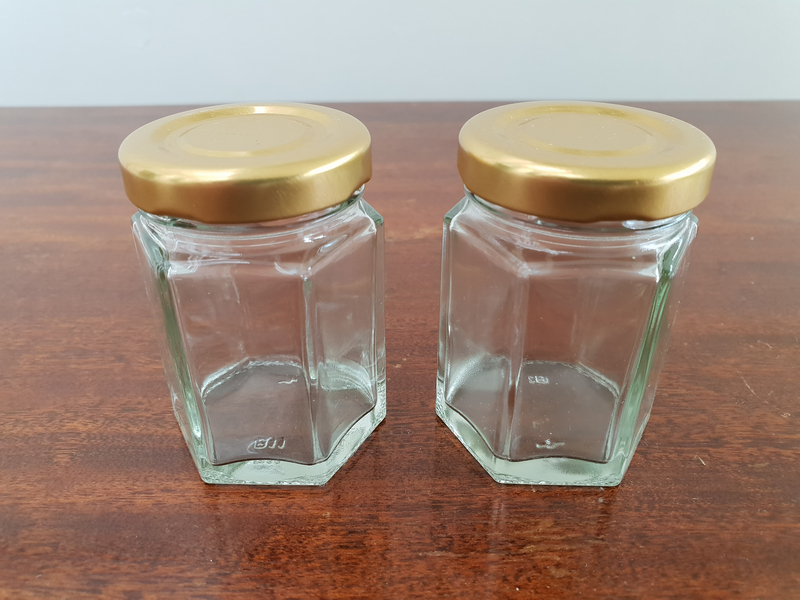 Next, 12x jars (6.5cm tall, 55ml) for your homemade jams/chutneys/curds/tipples favours. 50p each. 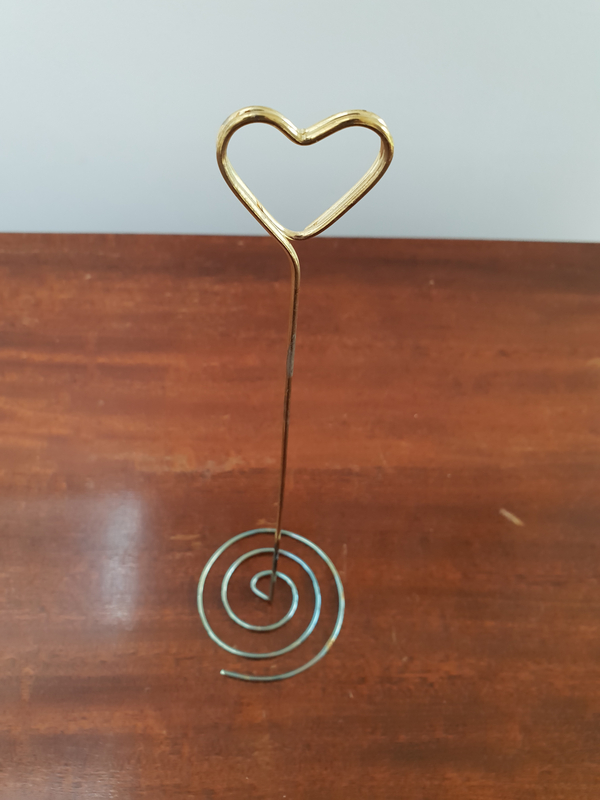 Lastly, 7x heart-shaped table number holders to help your guests find their seats. [As you can see from the photo, these are a little tarnished at the bottom because they sat within our flower arrangements.] £1 each. If you think that any of these items could help make your special day, please drop us a line. We're London-based for collection, but could potentially post some of the small/non-breakable items if that's too far for you to travel and you don't mind covering postage. Hey, are the gold vases still availiable? Where are you based?